For buyers (and sellers!) looking to enter the real estate market, locating the right agent to find their dream home may be a daunting task. Buyers want to find someone with an expertise in their desired area, who will communicate efficiently and have a strong knack for negotiation. With these factors and so many more to consider, finding the right agent is truly the first step for buyers looking to jump into the marketplace. Ask a friend or relative who has recently moved. If they had a good experience, chances are they will gladly rec­ommend their agent; if not, keep looking. Ask your friend what they liked or did not like about the agent, if they are willing to tell you. Look through websites for agents who have a lot of MLS listings. This could mean they’re busy, and a busy agent is usually a good agent! By the way, MLS stands for Multiple Listing Service. This is the online hub where REALTORS® mar­ket properties for sale. Find a neighborhood specialist. A specialist is someone who specializes in the communities where you want to buy your home. Even if an agent can represent you from another county, chances are that the agent who lives in the local market and sells in the local market will be more familiar with the specifications of the properties that are bought and sold within that district. Attend networking events, mixers, and lunch meetings held by the chamber of commerce, which often have real estate agents in attendance. The fact that they took the time to be there indicates an agent who is a go-getter and who will be active in trying to find you the right property. Ask the broker of record at a real estate agency for their best pick. A broker of record is essentially the supervi­sor. Call and tell them you want their star player—ide­ally, a seasoned, stellar agent who is patient and has great follow-through. No one knows their agents’ performance better than the broker of record. Conduct interviews with agents in your area. Then, request references and call them just the same as you would if you were interviewing a potential employee. Visit an open house at a home that interests you. Many great agents will arrange to show a home on behalf of the homeowner, but it gives new buyers a chance to meet qual­ity agents who can also locate properties that are similar to the prospect’s requirements. Just make sure you ask up front if they’re a “dual disclosed agent” or if they could rep­resent you as a “buyer’s agent." This becomes important if you decide to make an offer on the same house they are showcasing. Call the local real estate board to find out if there have been any complaints against or infractions on the agent you are considering. The board may even be able to recom­mend you to some of the most respected agents in the area. Reprinted with permission from KEEP CALM…IT’S JUST REAL ESTATE © 2015 by Egypt Sherrod, Running Press, a member of the Perseus Books Group. 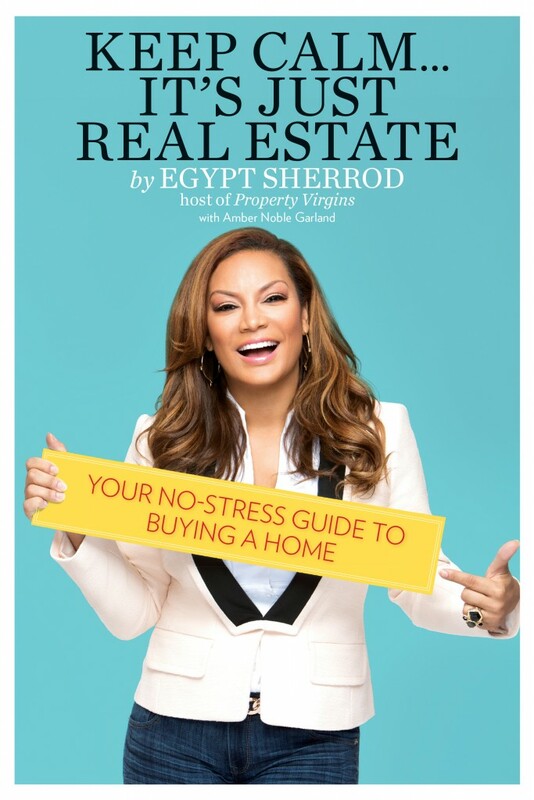 Egypt Sherrod's show "Property Virgins" is now in its twelfth season. As a real estate expert, she's made appearances on CNBC, CNN, NBC's "Today Show," as well as being featured in Fast Company, Modern Luxury, and more. For more information or to purchase a copy of her book, click here.